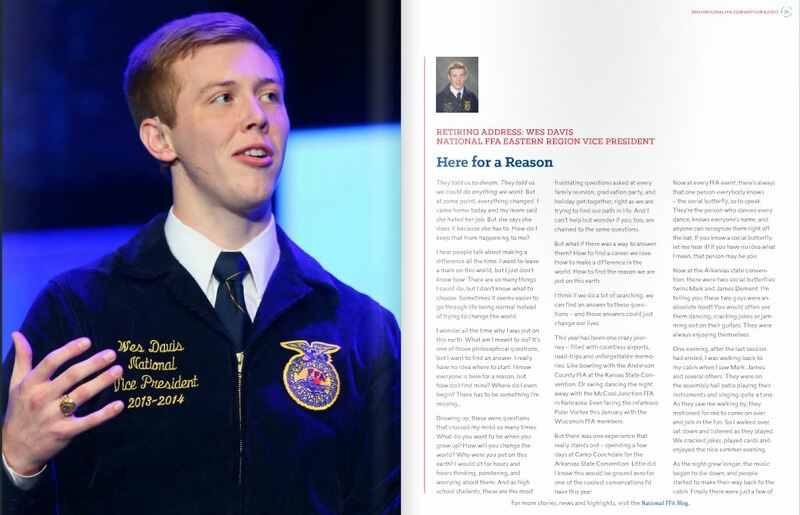 Did you attend the 87th National FFA Convention & Expo last fall in Louisville? Maybe you watched it online? 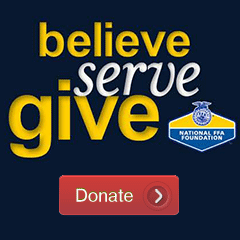 Now you can live it again. 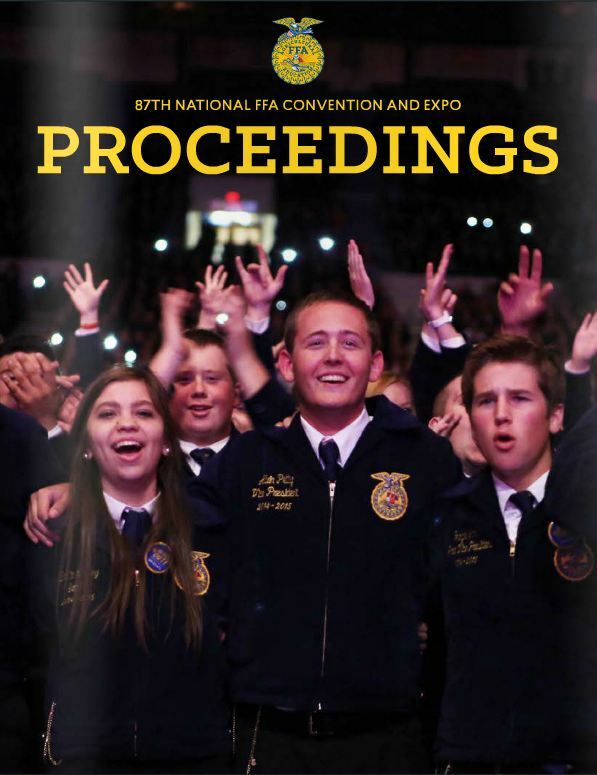 The proceedings of the 87th National FFA Convention & Expo – a publication created each year to document what happened, who spoke, who won and just about everything else from the huge gathering of FFA members – is now available.